Searching for German records? This landing page is a guide to German ancestry, family history, and genealogy: birth records, marriage records, death records, census records, family history, etc. GenWiki (Society for Computer Genealogy e. V.; Verein für Computergenealogie e.V. ); mostly in German with an overview in English. 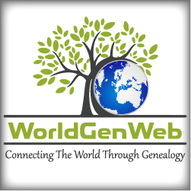 Some of the archived and partially obsolete genealogy.net pages are still available in English.